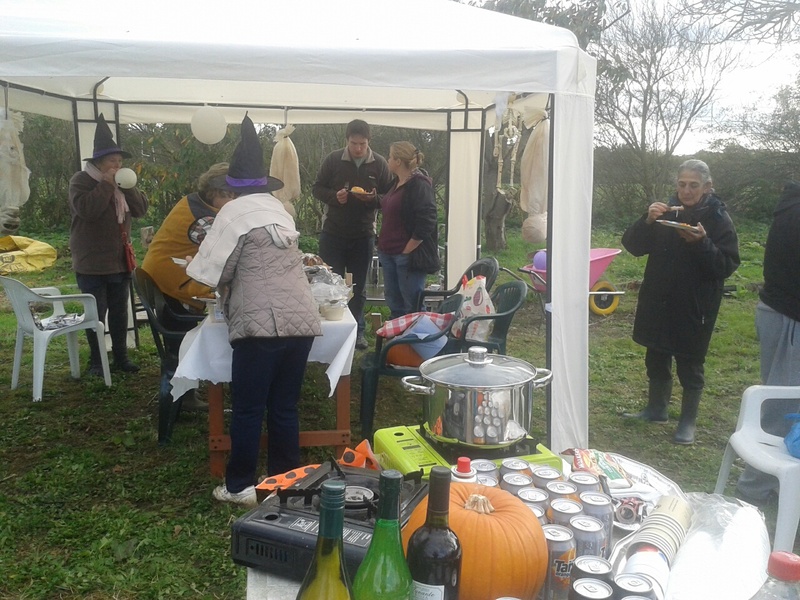 With thanks to all those who contributed the spooky decorations, the lovely food and helped to set up. You all made the event a big success! 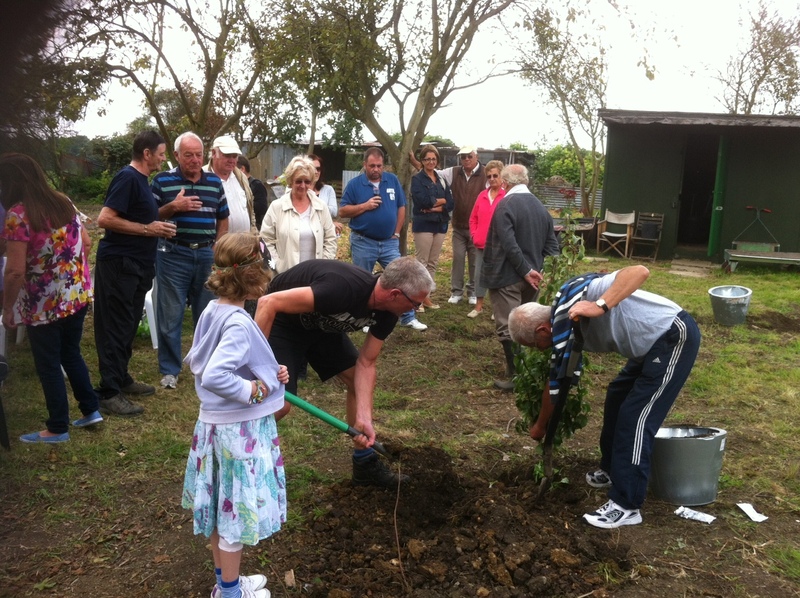 Following our AGM in June your Committee reviewed the site finances and decided to keep rents and Society memberships (currently £8.05 per pole and £10 per plotholder respectively) at the current level for one further year. However, the Committee has decided to introduce a new charge for new plotholders only – with immediate effect the Society will require a £35 deposit for the site key. A recent review of water consumption concluded that water charges could also be kept at the current level (£2.20 per pole) for 2015. Examples of plot charges are posted on the Trading Hut notice board. RENTS AND OTHER CHARGES ARE DUE TO BE PAID ON 1 APRIL 2015 AND THE TRADING HUT WILL OPEN ON SATURDAY AND SUNDAY MORNINGS 11.00 am – 12.00 noon FROM 21 MARCH ONWARDS TO TAKE PAYMENTS. We will also be open from the first w/e in March for the sale of seed potatoes etc. The Committee did a lot of work over the summer with councilors, the police and local residents to press for action against the squatters at the former British Legion Club. We were successful and the site was cleared in July/August. However, we are still awaiting delivery of fencing materials to complete the west side fence on E Field and with the British Legion site now closed off we shall have to negotiate with the council for access to the site in order to carry out our fencing work. Meanwhile, all our gates have been upgraded and the fencing around Legion Way will shortly be reinforced. We do not know what plans the council may have for the British Legion site but we are monitoring the situation. The P Field boundary with the Rugby club is now enclosed with a high- quality steel paling fence that was installed by the Rugby Club over the summer. Various weak points in P Field perimeter fencing will be reinforced by the Society over the winter. Please continue to keep site gates locked and report any thefts/damage/intruders to the police and the Committee. We have had a relatively quiet few months but we need to continue to be vigilant. Over the last few months the Committee has contacted a number of plotholders about the poor condition of their plots. The Committee now inspects the site regularly and in a number of cases of persistent non-cultivation formal warning notices have been issued. Your plot lease requires you to keep your plot in good order – regularly cultivated for the growing of fruit and veg and reasonably weed, rubbish and hazard free. Failure to keep to these simple rules upsets your neighbours and is unacceptable at a time when we have people ready and waiting to take on plots. It may also result in the termination of your tenancy, so if you are having problems managing your plot please let the Committee know before it becomes necessary for us to issue formal warnings. The closure of the British Legion site also means that we can no longer take deliveries of ‘council compost’. This is disappointing but we no longer have an accessible dumping area that the lorry can get to that is not too close to our neighbours. Compost is delivered to the Recycling Centre next to E Field and we will post a notice whenever we are told that it is available for pick-up. Plotholders are still dumping green waste – and worse – on site. Please compost your green waste, or take it off site. 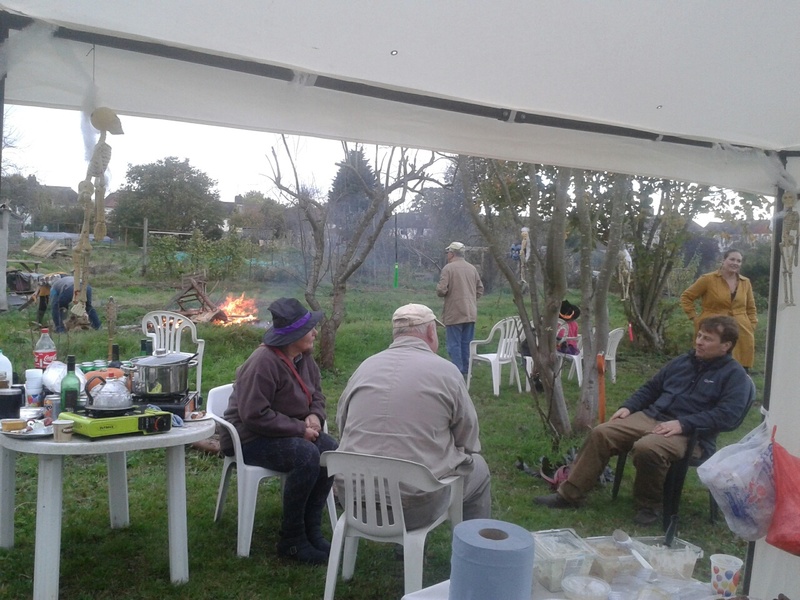 The communal bonfire sites are there for wood and other material suitable for burning. Take all your other rubbish home with you. The rules are quite clear and anyone found dumping waste risks losing their tenancy. 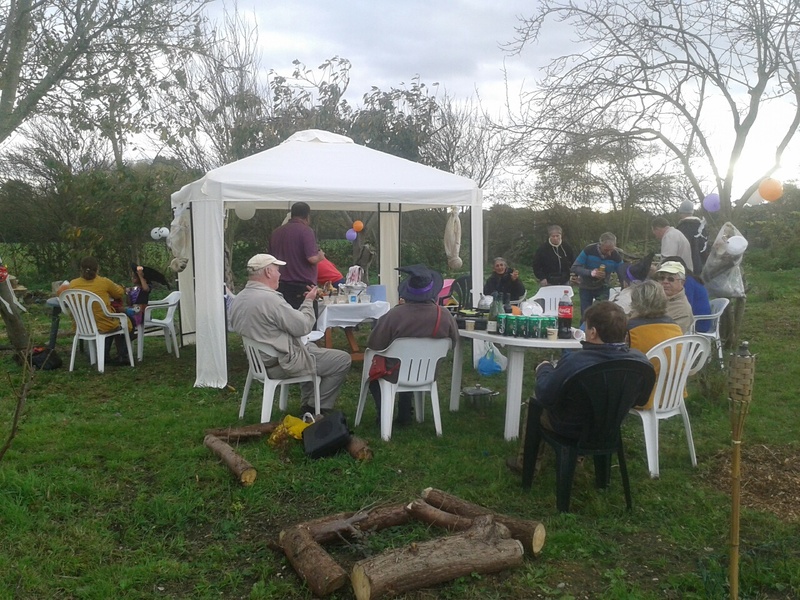 Assisted by Challenge Network volunteers and Society members on our monthly Workdays the Committee has established a new social space and communal orchard on P Field. 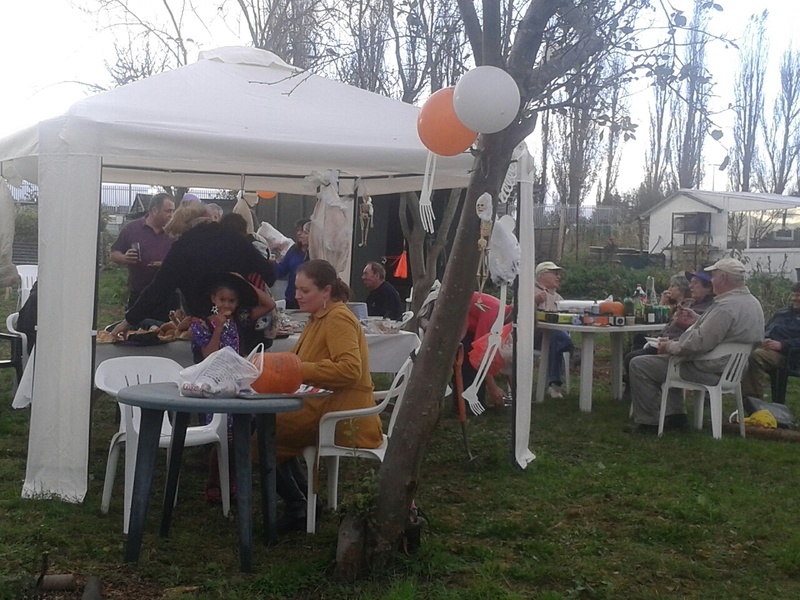 In September we held a very successful fund raising event for an organization to support training in British Sign Language that one of our plotholders is setting up and on 25th October we are running a Halloween event for members and their friends and families. Please come along and see the progress we have made – we hope to hold regular events here next summer. Don’t forget NEXT SATURDAY’S HALLOWEEN EVENT! See below for details. Meanwhile, if there is anything you would like to discuss with the Committee we continue to run open sessions for members at the conclusion of our monthly meetings. Simply come along the Trading Hut at 11.00 am – next meeting will be on 2 November. All society members and their families are cordially invited to our next community get-together, which will be held in the Orchard (on P Field) on.. 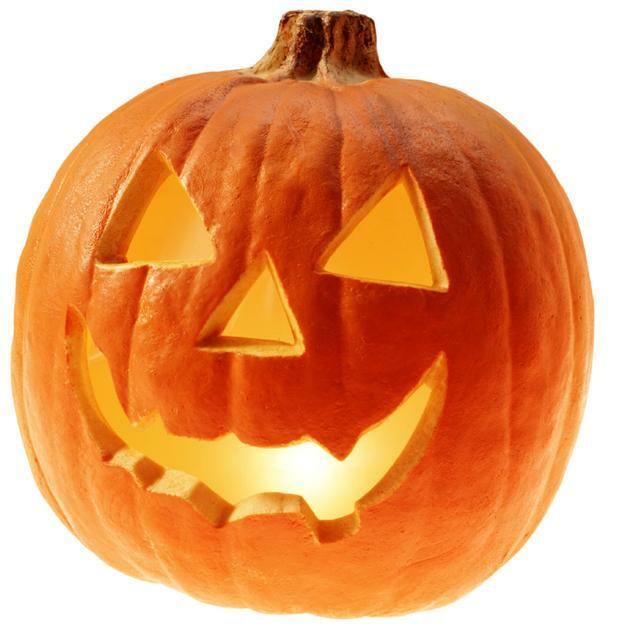 The theme will be Halloween so please feel free to dress up in your ghoulish best or bring along a scary pumpkin lantern! 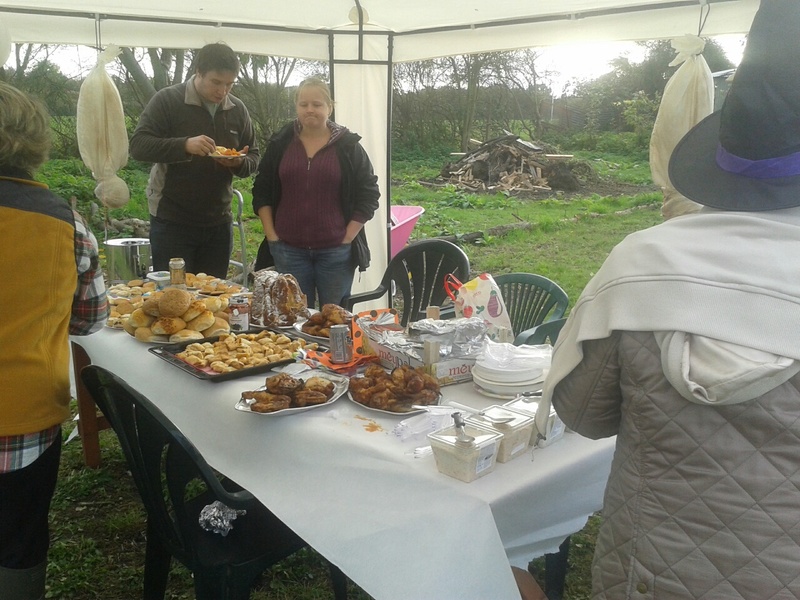 The committee will lay on some refreshments but additional contributions will be most welcome. Help will be needed to build the bonfire and set up so if you can spare the time to come along a little early and lend a hand then please do! 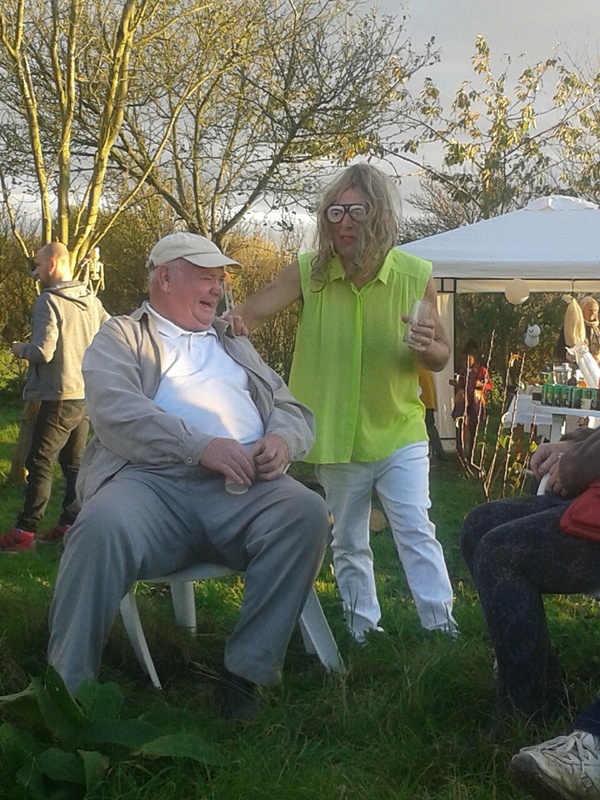 We are very pleased to report that the memorial event held on Saturday 13 September was a great success. 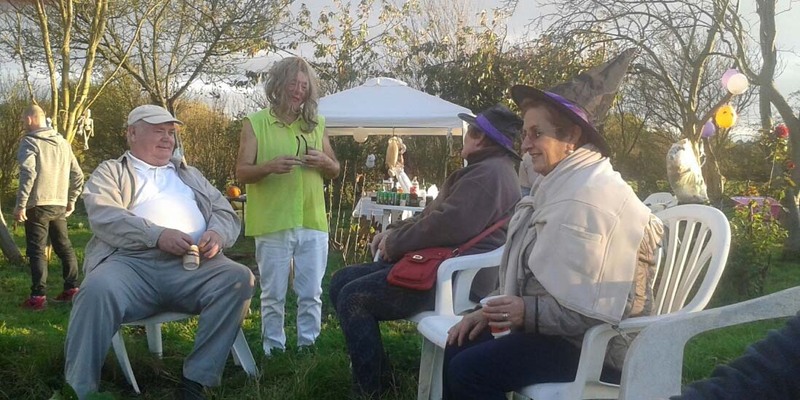 There was a good turnout of society members and friends who gathered in the orchard to celebrate the lives of Mick Cawley’s wife Gina and Simon Thorne’s partner Caroline, who both passed away recently and will be much missed by their families, friends and fellow plot-holders. Trees were planted in their memory. As reported in a recent post, Simon is setting up a charity to help people suffering from speech or hearing difficulties to communicate, through sign language, with agencies or loved ones at times of special need. The committee acted as fundraisers for this excellent cause, raising the magnificent sum of £500 through donations and raffle ticket sales, and Simon was presented with a cheque at the event. Thank you to all who gave so generously. NFAS wishes him every success with his plans.